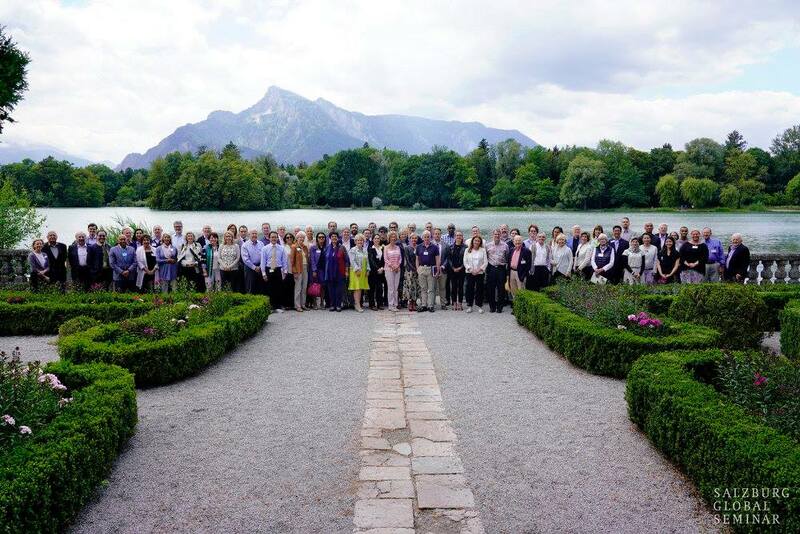 At the end of June I had the pleasure to attend the Board of Directors Weekend of Salzburg Global Seminar. 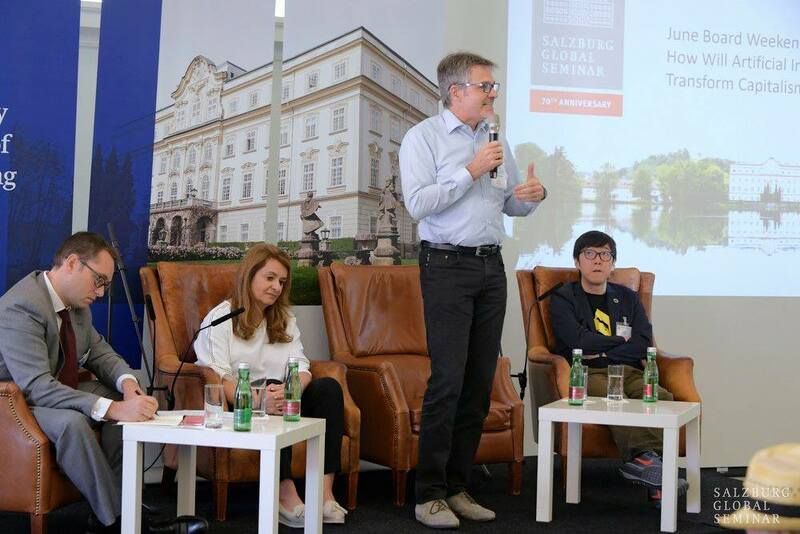 A really outstanding event, not only because of the wonderful location – Schloss Leopoldskron, where the event took place. 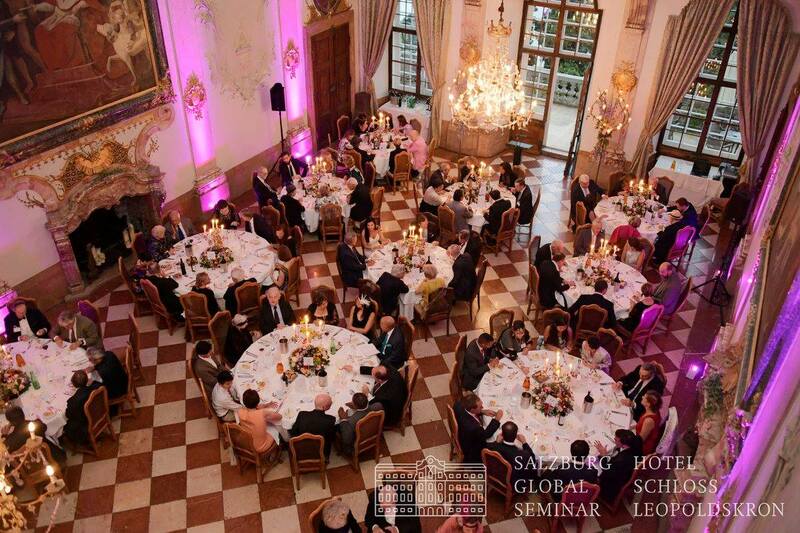 Salzburg Global Seminar is a global non-profit organization. with the mission to challenge current and future leaders to shape a better world. 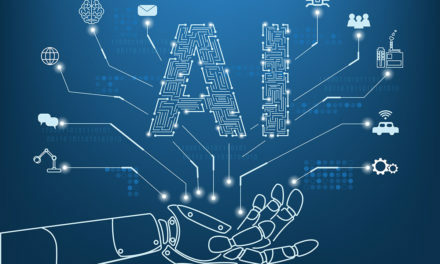 The topic of AI was considered from very different perspectives. In addition to lectures and panel discussions, there were many opportunities for individual discussions. The participants of the weekend had very different backgrounds. Only a few came from the technology sector. This mixture has led to very interesting and in-depth discussions. We need many more events like this to discuss the opportunities and risks of AI – in all areas of our societies. 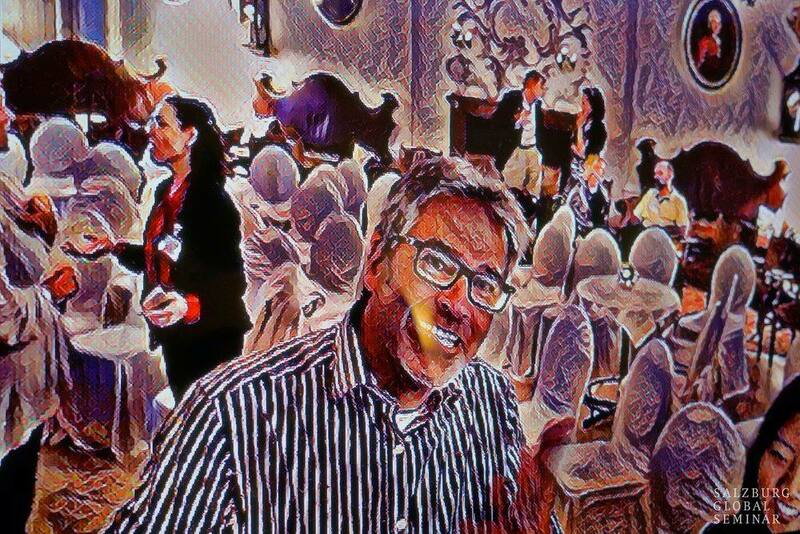 In an Imagination Lab designed by Sera Röder, I showed a practical example of the application of AI in art: deepart.io. Here an image is separated in content and style by means of AI. In this way, the content of a photo (or a video, as in my example in Salzburg) can be combined with the style of another picture (e.g. a work of art) to form a completely new picture. 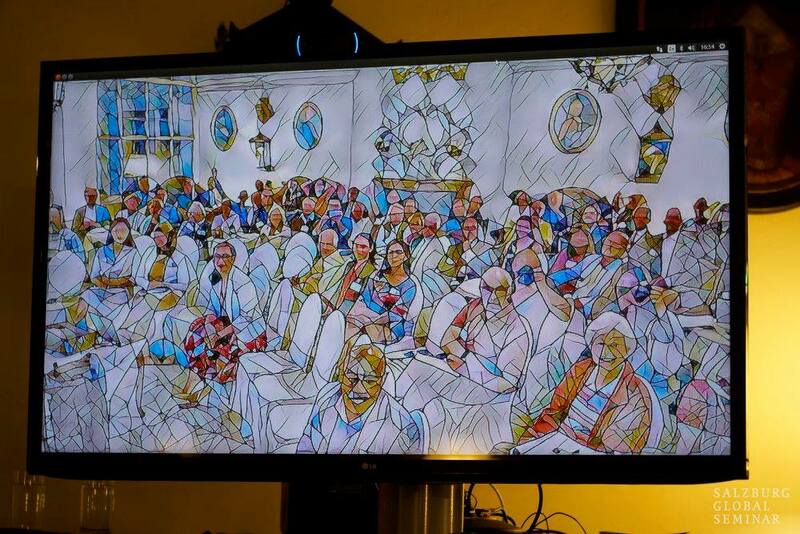 Also known as style transfer this is especially impressive when it happens in a live video image in the presentation. It is always helpful to see a practical example, especially for people who had not much to do with AI so far. And then to discuss what’s behind it. 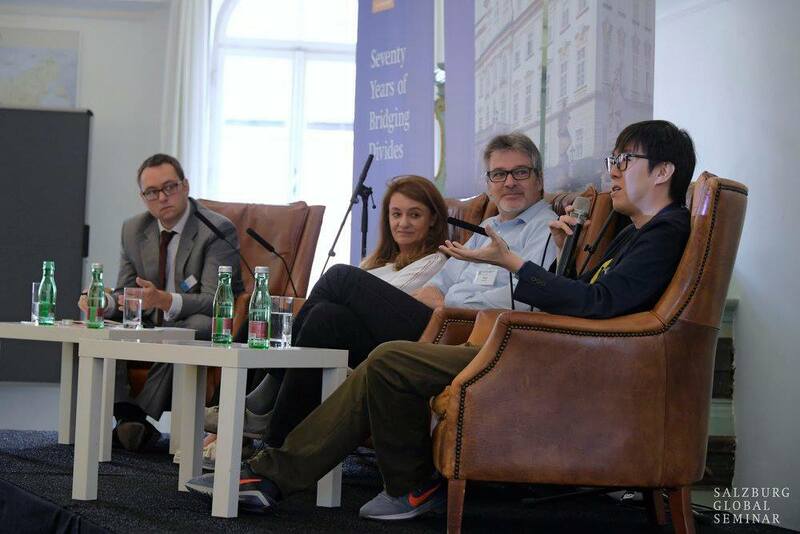 In a panel discussion together with Philip Chow (CEO Humanitas.ai) and Lucilla Sioli (Director for Digital Industries, DG Connect European Commission) we discussed the topic of „AI and the future of capitalism“. A very interactive session, which was enriched by the excellent questions from the audience. 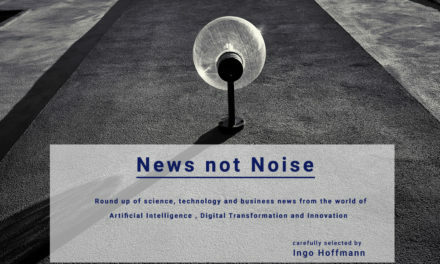 It shows once again how important the discussion is, especially about a technology like AI, which will have a decisive influence on our future. A really outstanding event that I have not experienced so often. And it was crowned with a “Roaring Twenties” Gala Diner at Schloss Leopoldskron with music and a theatre performance in honour of Max Reinhardt.